Decorative painting isn't just for inside. 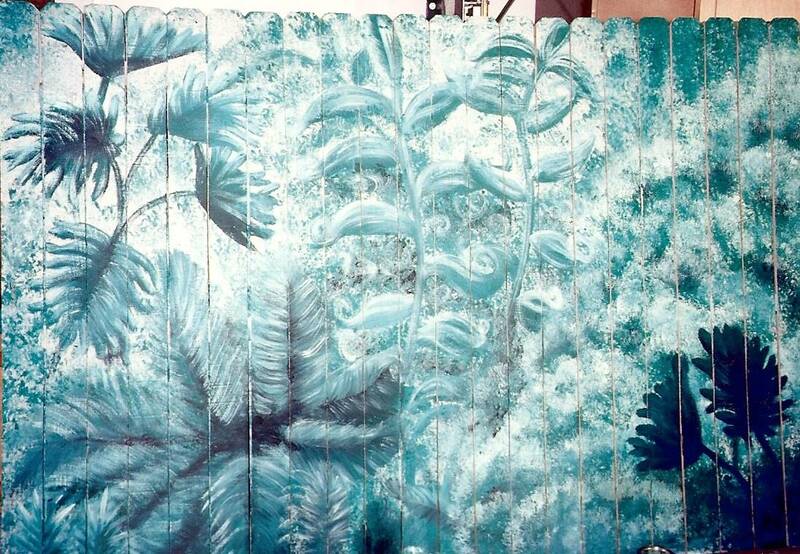 It can liven up outdoor surfaces like walls and fences. 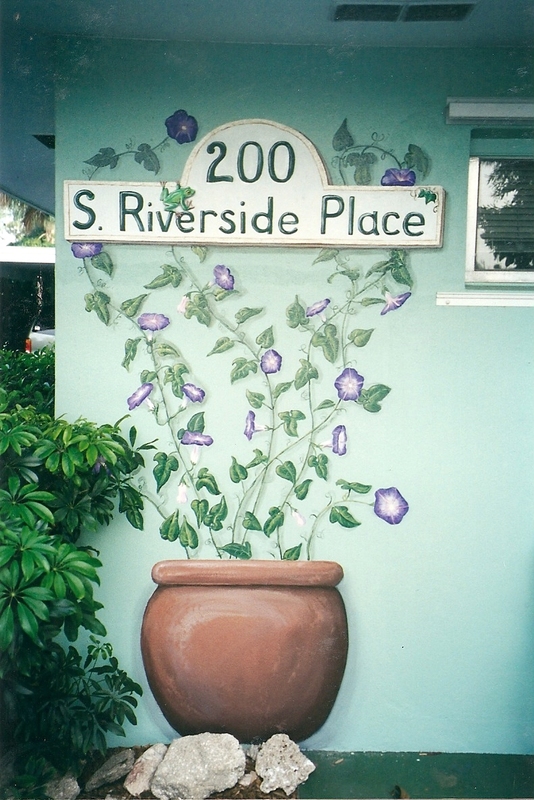 Address marker and flower pot.